In Company Traning at Your Premises: Prices start from 23.00 per person per group with further discounts available for multiple groups. Location: Available throughout Ireland at your premises. We can normally accommodate within 5 working days and will endevour to facilitate urgent requests where possible. 1-1 Manual Handling Available by advance booking only. Normally within 24 -72 hours. Cost 99.00 per person (discount if booking more more than 1 person). 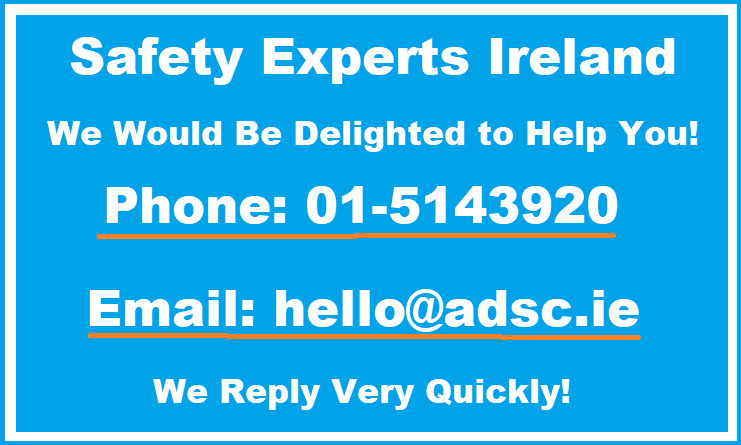 Please note we offer both public Manual Handling Training Courses (most days) at our offices in Baldoyle, Dublin 13 and we also offer in house Manual Handling at your premises or site which we can normally accommodate within 5 working days. Please see both options above. Our Manual Handling Training Course is designed to comply with the provisions of the General Application Regulations 2007 and the Safety, Health and Welfare at Work Act 2005. Notes on safe Manual Handling are provided for each participant. Course duration is approximately 2 hours. Maximum class of 12 at clients premises or 8 at our offices. This course is not a Patient Handling course and is not suitable for learners who will move people. Fully compliant Manual Handling Course Certificate issued for every participant subject to passing course assessment.